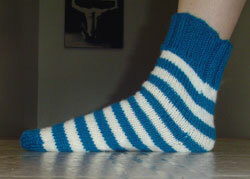 Sock number one is done! oh I love those. My is my fav color too. and that bag! WoW! Fabulous woman! Oh they are great! 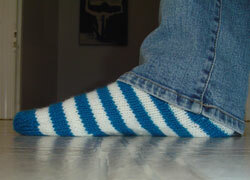 You could make tons of socks from your stash.. in all kinds of wild colours. 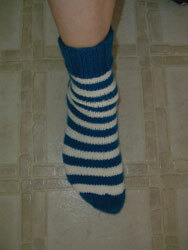 Next time you have to make knee socks. I bought some and they are so nice and warm. Great! May you encounter no troubles when knitting the second one.